Steve Norton Construction Ltd - Builder, Driveways/Patios/Paths based in Bournemouth, Dorset. 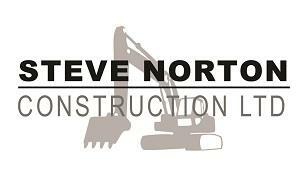 My company Steve Norton Construction Limited. Started trading on the fourth of January 2017. Before I traded as a sole trader since 2013, working on my own projects and subcontracting to other companies. I have thirty years experience on domestic and industrial projects of all sizes. My company provides top quality workmanship covering all aspects of Groundworks,Landscaping and Building. We also have a restricted access excavator with two meter dig depth , ideal for footings and oversites in hard to get at areas with an array of attachments for all your needs. Steve Norton. Director Steve Norton Construction Limited.